Home » Do Aliens Exist or are we alone in the Universe? UFOs, Aliens and Extraterrestrials are considered one of the most controversial topics to ever face mankind and they continue to be so. No Governments on planet Earth have ever formally discussed the presence (or absence) of Aliens primarily due to lack of any physical contact with Extraterrestrial life. However, there are many who believe in the existence of intelligent life on other planets and are optimistic that soon there will be full disclosure. In our Milky Way galaxy, there are estimated to be at least 200,000,000,000 Stars (like Sun) and we go by mathematically (and use the famous Drake’s Equation) there are at least 65 Civilizations like us or even more advanced just in our own Galaxy. 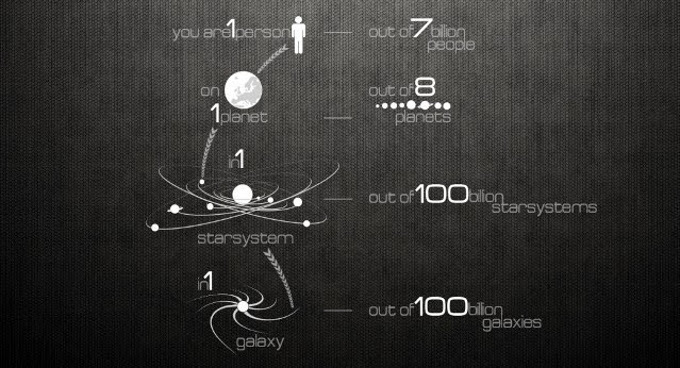 In our known Universe, there exist at least 100,000,000,000 Galaxies like ours. Even if we take the lowest probability of one in a million, there still could exist at least 100s of planets like earth and many more civilizations in our known Universe. Seth Shostak, a senior astronomer for SETI (the Search for Extraterrestrial Intelligence), is so confident that he set a date for our likely encounter with intelligent alien life forms. At this juncture, it must also be pointed out that the Universe is expanding as you read this article at unimaginable rates and, hence, giving existence to new galaxies, stars & planets. Is that good enough proof that aliens do exist? Seth Shostak stated, “It is quite likely that there is life elsewhere in our galaxy, and there’s a real possibility that we will find evidence of intelligent extraterrestrial life by the year 2025.” At this juncture, it must also be pointed out that the Universe is expanding as you read this article at unimaginable rates and, hence, giving existence to new galaxies, stars & planets. Is that good enough proof that aliens do exist? Stephen Hawking, British theoretical physicist and cosmologist, provides the best answer “To my mathematical brain, the numbers alone make thinking about aliens perfectly rational, the real challenge is to work out what aliens might actually be like.” Well, it seems, at least Mathematically, YES intelligent aliens CAN Exist. Can Alien life be intelligent? There’s always a flip side to something as controversial as the existence of Extraterrestrials. The first question that comes to mind is that if intelligent life does exist why haven’t they contacted humans yet? Some of the scientists believe that although life might exist on other planets – it might NOT be intelligent like us HUMANS. So what we see in movies like AVATAR might not be possible just yet! Another interesting point that points towards the non-existence of intelligent alien life is the lack of Robotic (Unmanned) missions to earth, similar to our own space exploration activities and missions on planets such as Mars, Jupiter etc. However, many astronomers have pointed that due to vast distances between Galaxies & Stars, it might be unrealistic to expect that in the vastness of universe other intelligent alien life would only try to find planet ‘Earth’. According to Akshit Aggrawal (and a lot of his friends) “aliens do exist and we’ll definitely be contacted by them very soon. There’s no way we are alone in this massive universe – it’s only a matter of time. There have been different documentaries detailing the existence of aliens and some say we’ve already been contacted by them”. In 2008, Dr. Edgar Mitchell, an Apollo 14 astronaut (and the sixth man to walk on the moon), claimed that “Aliens have contacted humans several times but this things have always been kept a secret from the general public”. Moreover, an organization known as ‘The Disclosure Project’ has had over 500 (American) government, military, and intelligence community witnesses testifying to their direct, personal, firsthand experience with UFOs, ETs, ET technology etc. On the contrary, many astronomers believe this to be just propaganda and no real evidence has ever existed to prove that aliens have visited our planet and contacted humans. Would it ever be possible to witness a small grey person with large eyes standing outside your house to pay a visit from a distant planet? Well, the answer lies from somewhere between a straight ‘NO’ to a ‘MAY BE’. SETI, the Search for Extraterrestrial Intelligence, continues to conduct scientific research (and search) through “a set of disciplines ranging from observing and modeling the precursors of life in the depths of outer space to studies of Earth”. 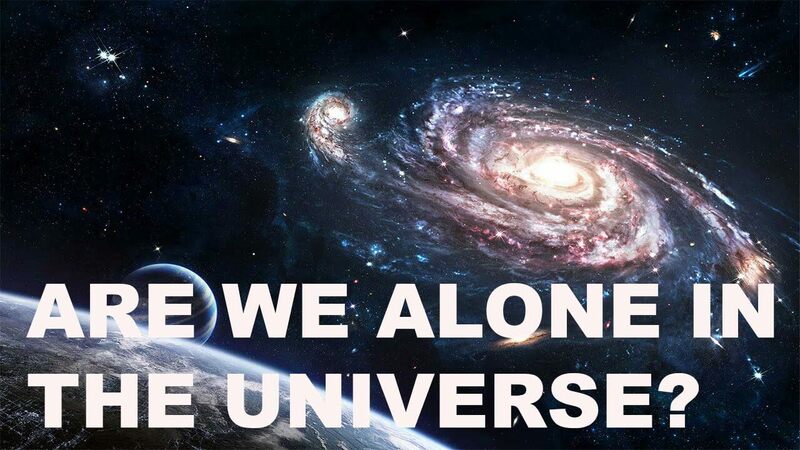 The answer to the question ‘Are we alone in the Universe’ is definitely NOT as straightforward as some might believe but yet there are arguments justifying both the absence and presence of intelligent life on other planets. Well all we can do (for now at least) is simply WAIT!